Turkish officials said that there is no exact agreement between Turkey and the U.S. over purchasing the Raytheon Co. Patriot defense system, but it won't be an alternative to the Russian S-400 systems even if a deal is established for their purchase. 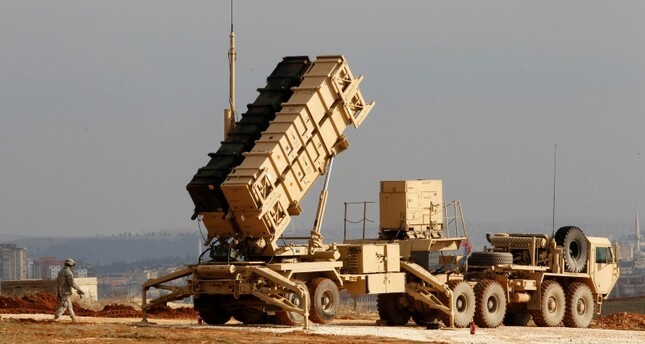 Reuters reported Monday that the U.S. State Department is negotiating a potential deal to sell Turkey Patriot missiles as an alternative to the Russian-made S-400 system which Turkey has agreed to purchase. U.S. Ambassador Tina Kaidanow, the Acting Assistant Secretary of State for Political-Military Affairs, told reporters that a delegation of U.S. government officials at the Farnborough Airshow was holding meetings with allies in the hopes of bolstering the U.S. defense trade. Speaking to Daily Sabah Monday under the condition of anonymity, Turkish officials did not confirm the deal, but added that Turkey never ruled out the purchase of the systems and had waited for a convenient price. Another state official told Daily Sabah that Turkey does not consider Patriot as an alternative to the S-400s. Kaidanow said the U.S. State Department was in talks with Turkey and "trying to give the Turks an understanding of what we can do with respect to Patriot." She did not say if the delegations were meeting at the air show. "Ultimately, we are concerned that by purchasing these systems from the Russians it will be supportive of some of the least good behavior that we have seen from them (Russia) in various places including Europe but also elsewhere," Kaidanow said. She said Washington wanted to ensure that systems acquired by U.S. allies "remain supportive of the strategic relationship between us and our allies, in the case of Turkey that is Patriots." Turkey signed an agreement with Russia last December to buy the S-400 surface-to-air missile batteries as part of Ankara's plans to boost its defense capabilities amid threats from PKK and Daesh terrorists at home and conflicts across its borders in Syria and Iraq. Ankara has been disappointed with NATO allies for not supporting Turkey's fight against terrorism and the lack of cooperation in meeting its defense needs.